Jim Prentice, Premier of Alberta will be making a provincial address live tonight on CTV to discuss Alberta’s financial budget just two days ahead of when the budget will be released. Provincial revenues have been hit hard with the decline in oil from over $100 in June to the current price of ~$47 per barrel. It is estimated that Alberta is dealing with a $7 billion dollar short fall. Numbers being thrown around are that for every $1 oil drops Alberta loses ~$215 million in provincial revenue. 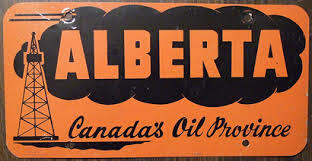 In 2013, Alberta earned $9 billion in revenue from oil and gas royalties which was approximately 21% of the budget. An issue making matters even worse is that Alberta sells a fair amount of heavy oil which trades at at significant discount to WTI. Mr. Prentice will need to look at news ways to increase revenues to help balance the budget. Oil companies should not be to worried about the extra revenue needed coming from increased royalty rates as the government has already ruled this out. As many of these oil companies are not profitable at the current oil price this makes sense. “This is the most serious fiscal circumstance we have faced as a province in a generation,” is how Prentice described the situation in January. The province is expected to post a surplus when the fiscal year ends on March 31st but it is the next fiscal year that will create a problem. A ten year plan is expected that will help reduce the Albertan government reliance on oil royalties. So what options does the Alberta government have to raise revenue? They could re-introduce the health care premium. The health care premium was eliminated in 2009. An estimated $1 billion + could be raised this way. A provincial sales tax could be issued. A 5% PST would raise an estimated $5 billion annually. The Alberta economy lost 14,000 total jobs in February bringing the unemployment rate to 5.3% the highest level since September 2011. Bloomberg estimates over 31,800 oil patch jobs will be lost in 2015 if oil prices continue to stay at these levels. It will be interesting to see how the government plans on coming up with the revenue to help fill the big shortfall. For oil stock investors with companies in Alberta watch a couple key items when making your investments. 1. Is the company profitable at the current oil price? Watch for hedges and when these come off. 2. How much debt does the company have? (if any) Pay attention to when it is due.